In the beginning of January 2019, BEGO, the dental specialist from Bremen, has expanded the indications of the super-translucent, multilayered ceramic KATANA Zirconia STML. From this point on, two-piece abutments made of KATANA Zirconia STML can be ordered. 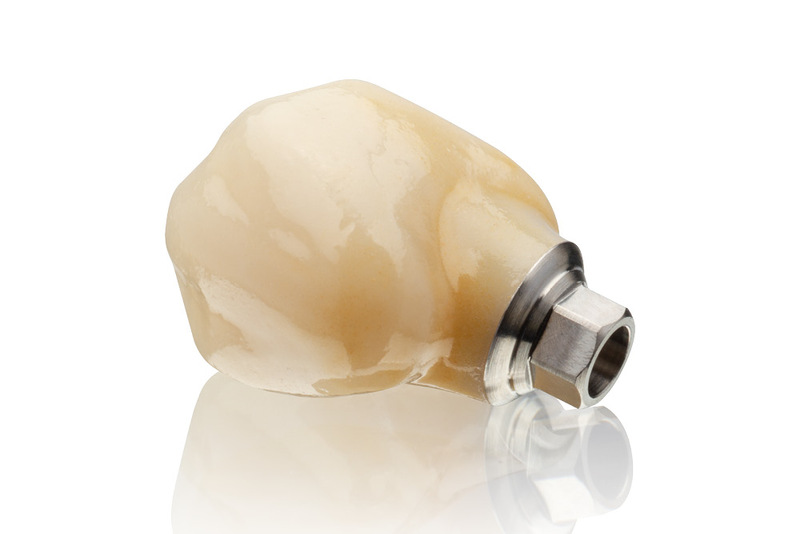 From the beginning of January 2019, BEGO offers two-piece abutments made of KATANA Zirconia STML. All interfaces offered by BEGO can be ordered. For exocad* software users, a new option is added to the drop-down-menu for the two-piece abutments. 3Shape* customers can select the material during the abutment design process. KATANA Zirconia STML is excellently suited for fully anatomical two-piece abutments in the posterior region and for a cutback technique in the anterior region. The offered 13 VITA* colors with gradient provide the usual high color stability of the KATANA Zirconia materials. We recommend Panavia V5 from Kuraray* for gluing the titanium-based restorations. KATANA Zirconia STML is ideal for single tooth restorations as well as three-unit bridges in the anterior and posterior regions. The integrated translucency and color gradient guarantee high-quality esthetics and full-contour restorations of the highest natural quality. All technical information on the KATANA Zirconia series can be found here. The new features will be available for all customers after the next update of the BEGO material library. If you wish to receive the new indications earlier, please contact the customer support team at +49 421 2028-200 or your BEGO sales representative. In the beginning of January 2019, BEGO has expanded the indications of KATANA Zirconia STML. From then on, customers will be able to order two-piece abutments made of KATANA Zirconia STML.